Early Learning Nation: Mayor Warren, thank you so much for coming to the Early Learning Nation’s Studio. Mayor Warren: Thank you for having me. Early Learning Nation: You took office on January 1, 2014 – you don’t need me to remind you of that. In March of that year among the first things that you did was to convene your Early Learning Council. What was that, and why did you prioritize it so significantly just two months into your tenure? Mayor Warren: The Early Learning Council was a council made up of experts, parents, and just community leaders around the issue of early education. We needed to make sure that we give our children a fighting chance at life, and what we found was that the data was telling us that the formative years were the most important. We were spending a lot of money, and a lot of time, and energy on the older years, and it’s really too late. We needed to get to parents early. We needed to talk to them about them being their children’s first teacher. We needed to engage with them. We also needed the community to understand that they had a role to play in making sure that our children were getting the best chance at life by giving them the support that need early on in life, from zero to third grade. 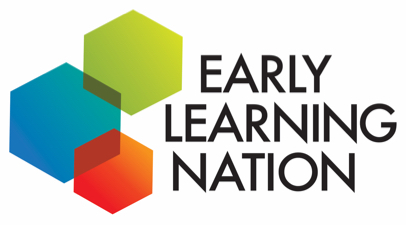 Early Learning Nation: So a lot of folks who care about early childhood development, early childhood learning, are listening to you, and they’re thinking, “This is awesome! We’ve got the mayor of a big town. She gets it. She’s into it.” How did you get into the early learning? Was it something that you were personally interested in previously? How did you get into it? Mayor Warren: I have a daughter, and so I know what it was like for me when it was time to enroll her in a daycare program, in a high quality Pre-K program. I could sympathize with other parents, but I also know the challenges of our city. Many of our children growing up and living in poverty, being the third largest city in New York State, and we had challenges. We wanted to make sure that we were working with the experts that told us that we needed to make sure investments in early childhood learning. The city school district is not necessarily under the mayors control, but our library, our recreation centers, and what we do with children before, by kindergarten, was in our control. We wanted to make the investments that we could, and making sure that parents understood that we were their partner in this. We wanted their children to be able to succeed. Early Learning Nation: So, take me back again, please, to March of 2014. What did you hear at those public hearing, I guess both from parents, but also from experts? Then I’ll ask you about some of the outcomes from that council. Mayor Warren: What we heard was that parents didn’t know what resources were available to them. Parents wanted to have support in the community, but they just didn’t really know where to find them. What we also heard from experts was the fact that we needed to be screening children early. If we made the investments in speech pathology, in hearing, in sight, and all of those things we would be able to possibly reverse the learning lag by the time the child got to kindergarten. So, we started screening two and three year olds. We screened over 1,200 kids the last year. We are continuing to do that because we know that if we can get them hearing aids, or get them eye glasses, in front of a speech pathologist, and also develop their motor skill, and all of that that makes it easier for them to transition, and be ready for kindergarten. By third grad be ready to basically compete with the world. Early Learning Nation: I want to ask you in a moment about the Three to Three Initiative. You can’t Google Mayor Lovely Warren Rochester and not also get the Three to Three Initiative up in the results as well. First, the council that you ran in 2014, that we’ve been talking about, came out with four recommendations. You may not remember each one of them exactly, it’s been four years, and I know I’ve forgotten a ton from four years ago. Can you tell me about some of those specific recommendations that the council came out with? And then let’s talk about the Three to Three Initiative. Mayor Warren: So the first thing was to engage with parents early. We expect that parents know how to be parents, but what we found was that you just do what you know how to do, or what was done to you. We know that that’s not always best for children. So, engage with parents, and have them be a part of the discussion. Provide high quality Pre-K, meaning that we needed kids enrolled in Pre-K programs that were of high quality, not sitting in front of grandma’s TV. So, we went out and we searched for dollars to actually enroll preschool kids, Pre-K three, and Pre-K four, and we were able to increase their enrollment by 1,200%, because the state was able to give us dollars to do that. We’re continuing to advocate for that. The other part was that we needed to screen, and we needed to get involved early with our parents, and with our children so that they had a fighting chance at life. Also, of course, reading at grade level by third grade. That’s why it’s Three To Three. So, it’s high quality Pre-K program, reading by grade level by third grade, and all the supports in between to make sure that children have a fighting chance at life. Early Learning Nation: That is the Three To Three Initiative. Just to close out, I don’t mean to be ungrateful – the Three To Three Initiative and everything you have done is great… now what’s next? Mayor Warren: Well we’re focusing on early … Not early childhood, we’re really doing our data. Tracking the data, and making sure that that’s working well, but then we need to move on up. We have children that’s in the system now that we need to support as well. We want to focus on high school graduation rates, and career technical education. We have a significant number of job opportunities, but we have people that are in our community that can’t fill them. So, we need to give them the technical skills that they need in order to fill those jobs. We’ll be focusing on career technical education next. Early Learning Nation: Have you started to get the data from Three To Three, or that hasn’t come out fully yet? Mayor Warren: Our numbers have started to improve in third grade reading, as well as I said Pre-K enrollment is up. More students are starting kindergarten, ready for kindergarten, but we are still tracking the data. We will continue to improve when necessary, and take step back and regroup when necessary; because I think that is important that sometimes you think that you’re going down this road and everything is going well, and then you need to take a detour, and we’re okay with that. The focus is making sure that we give ever child in our community a fighting chance at life. So, we’re going to do that one child at a time. One family at a time. One neighborhood at a time. Early Learning Nation: Isn’t that what it’s about giving them a fighting chance at life? Early Learning Nation: Yes, that’s terrific. Thank you. Mayor Warren: Thank you so much, I appreciate it.